The most prestigious and exquisite building in south florida two park grove. 3 bedrooms, 3 full bathrooms and a powder room. Breathtaking bay view from master and social areas with a majestic terrace on the 17th floor. City views from guest rooms, both are en-suite bedrooms. Bathrooms and kitchen mastery design by william sofield, sub-zero and wolf appliances. Open concept kitchen-dining-living-terrace. State of the art amenities, like a luxury resort, roof top pool, ground pool, cabanas, gym, sauna, steam room, children's play areas. Wine tasting room with private wine storage, 5 acres of breathtaking gardens design by enzo enea. Come and own a life of luxury and prestige. Spectacular, brand-new, 20th floor corner unit (right below lower penthouse) with direct/unobstructed water and city 270 degree views. 3 bed/3. 5 bath + den, with lots of light throughout. Marble floors, state of the art kitchen with subzero and wolf appliances. Other appliances include gas stove, intelligent toilets and electrolux washer/dryer. Two very well located parking spaces. Access to the buildings world class amenities which include swimming pools, restaurants, bar, gym, spa, sauna, steam room, cinema, wine room, butler and 5 acres of private gardens designed by bukingham palace landscape architect enzo enea. Just reduced! Best priced in the d line and a high floor! Enjoy breathtaking bay views from this ample 3br/3. 5bath residence at the extraordinary two park grove, the newest tower in coconut grove, miamis ever-famous and very-accessible yacht and waterfront community. This 3,356 sq. Ft elegant home offers stone countertops, floor to ceiling glass walls, private elevator with foyer, sleek top of the line kitchen with sub zero wolf appliances, luxurious master bath with sunk-in bathtub, and lavish appointments throughout. Full-service building offers an over-the-top lifestyle including a luxurious swimming pool with private cabanas, state-of-the-art fitness center, wine cellar, childrens indoor/outdoor play areas, and many more. Fabulous opportunity to own at the gables club! Rarely available the a line. Enjoy spectacular panoramic bay views and 5 star life style, this residence offers over 4,000 sf living area plus an additional 1,000 sf of terraces. 3 bedrooms, family room, dining room. Beautiful book shelves. Huge entertaining spaces indoor and outdoor. 5 parking spaces included with this residence. 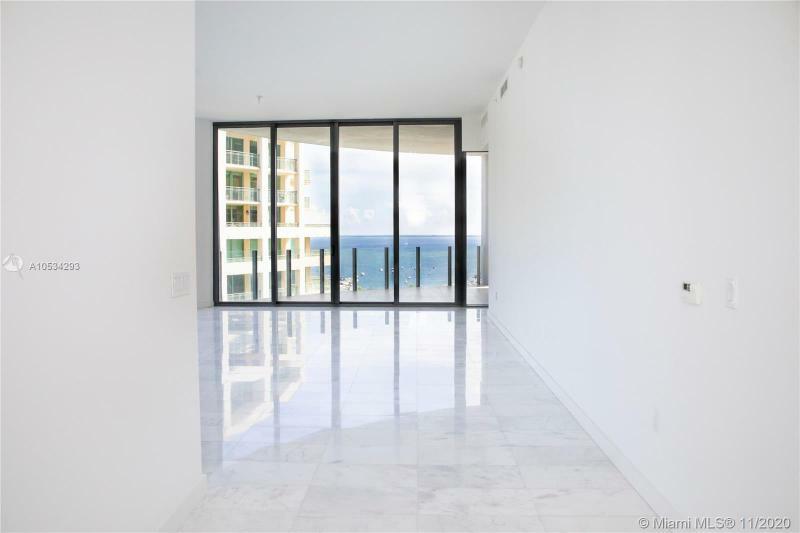 High style living in coconut grove, beautiful 3 bed 3 1/2 bath apartment in the most exclusive and spectacular waterfront new building, park grove. Marble floors, 12ft ceilings, floor to ceilings windows, custom italian cabinetry with marble counter. Luxurious & world class services & amenities indoor and outdoor living experiences. Poolside restaurant by michael schwartz. Enjoy 500 ft of bay front pools flowing thru the development, full service bar, poolside cabanas with towel service and dining, a whole body fitness center, children's play areas, private theater, business rooms, wine tasting room and wine storage, signature spa, bio sauna, butler service. All on 5 acres of private gardens designed by enzo enea. Amenities are ideal for those looking for the ultimate luxury lifestyle! Magnificent bay views from this wrap-around se exposure residence in the sky with 12 ft floor-to-celing glass throughout, 3 split-plan suites + den, expansive gas-gourmet kitchen, wine cooler, two ovens/warmers, 2 dishwashers, private elevator foyer. Panoramic gym, library, private gourmet bistro, rooftop pool, heated lap pool, butler & concierge team assistance with a la carte services ready to provide residents a unique and indulging lifestyle. 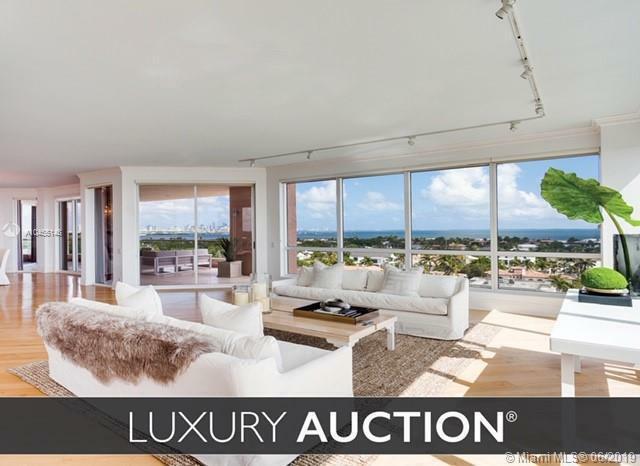 Sunrise to sunset 5-star living with panoramic views of biscayne bay, marinas, gables and miami. Over 4,000 sqft living area with large east and west terraces. 3 beds 3 1/2 baths - possible 4th bedroom. Fabulous amenities in one of the most renowned full service buildings in miami. Enter from your private foyer through spectacular stained glass doors. Large living areas. Sophisticated living room- stellar bay views- formal dining and an impressive wall of shelves. Gracious family room with built-ins. Spacious master with bay views boasts his/hers bathrooms. Separate office and bonus room. Chefs kitchen with 2 subzero refrigerators-4 freezer drawers-2 crispers and wine cooler. Full house water filtration + wifi booster + more. 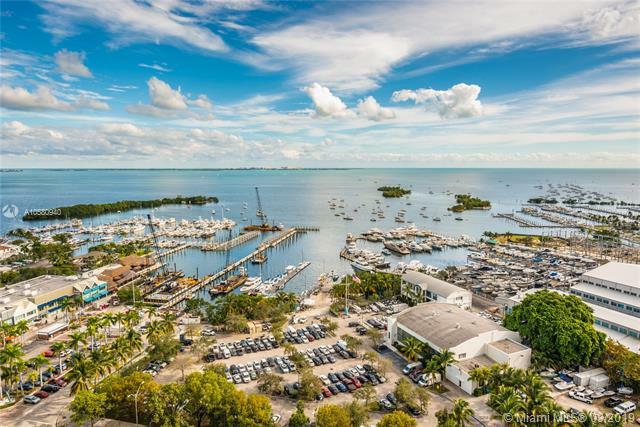 Discover truly remarkable living in coconut grove. Residence 14d features an open and spacious layout with 3 bedrooms, 3. 5 baths, family room, an expansive 439 sqft. Of outdoor living space and beautiful bay views. This brand new corner residence also offers 12ft floor to ceiling windows, private elevator with foyer, top of the line finishes and appliances. The kitchen, designed by william sofield, includes italian cabinetry with marble counter-tops, eat-in kitchen, wolf and sub-zero appliances. Designed by pritzker prize-winning architect rem koolhaas/oma, park grove is the epitome of luxury living amenities include lush landscaped gardens by enzo enea, 24-hr concierge and valet service, private business center, fitness center with technogym equipment, resort style pool with cabanas and pool side caf, and much more.